As the last crankshaft makes its final rotation and the final exhaust note falls silent, the curtain falls on the challenging eventful and colourful 2015 Mixed Traffic Weekend. 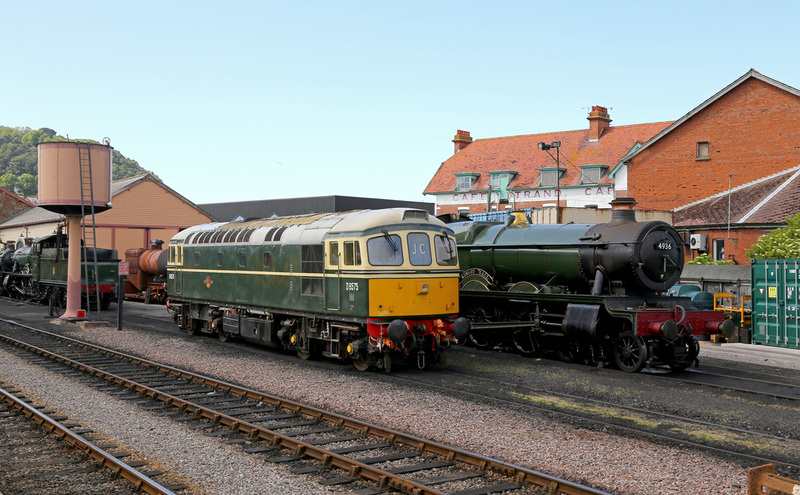 The three day gala event saw the DEPG home fleet locos joined by visitors Class 45 No.45060 'Sherwood Forester', Class 56 No.56006, and GBRf repatriated Class 59 No.59003 'Yeoman Highlander'. Each day had its own particular challenges, after the failure of 56006 on Saturday with fuel starvation, caused by clogged fuel filters, and then the failure of 45060 on the Sunday, it was left to the WSR home fleet locos and GBRf Class 59 to fill in the gaps. The event seemed well supported helped by three days of good weather, the best day for warmth and good light being the Sunday, which no doubt bought people out to the line. We would like to extend our thanks to all the crews and volunteers involved on the front line of the 2015 event. While it wasn't possible for all the locomotives to complete their full weekend of diagrams it did provide additional surprise variations in the timetable and extra 'double heading' which wouldn't of occurred had original timetable been operated. Credit should also go to the crew on 56006 on Saturday for having four attempts to get the locomotive moving prior to calling 'The Peak Army' for a tow. 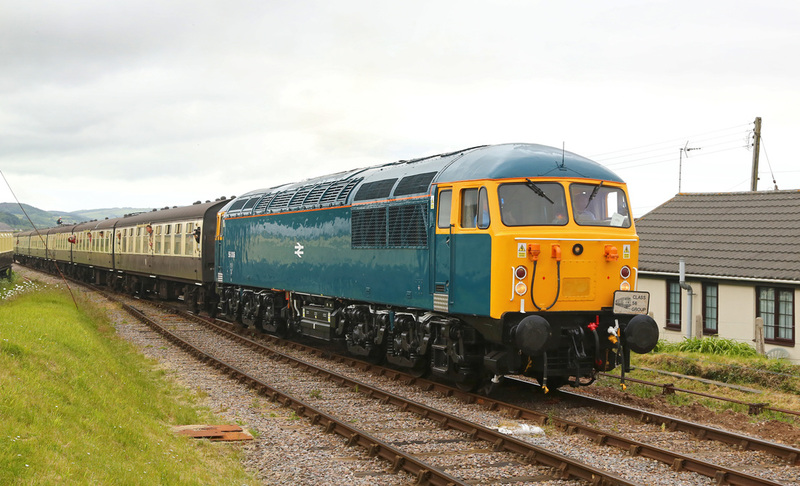 The Class 56 had it's filters cleaned and was operational by Sunday morning, but a desicison was taken to cancel the operation of the Class 56. 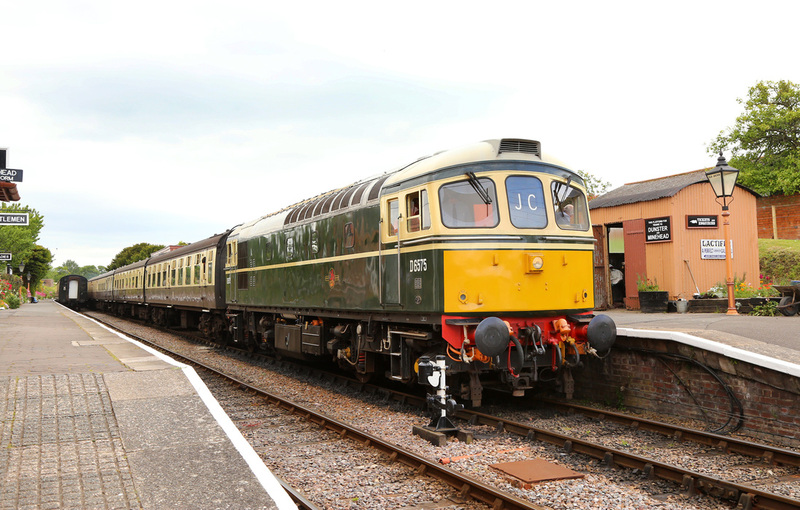 After the Class 45 failed on Sunday with a compressor fault the locomotive was hauled to Bishops Lydeard where its fault was fixed within ten minutes, but again another desicison was made to cancel the locomotive diagrams for the rest of Sunday. 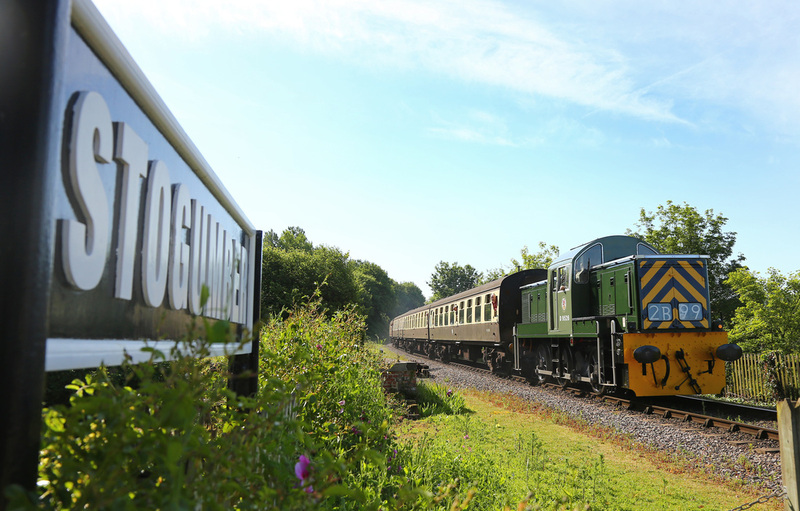 Both locomotive groups have issued appologies for their ability to operate their locomotives due to desiscisons which were out of their control. The DEPG's own locomotives covered he remaining diagrams over the weekend providing further locomotive haulage for enthusiasts to enjoy. 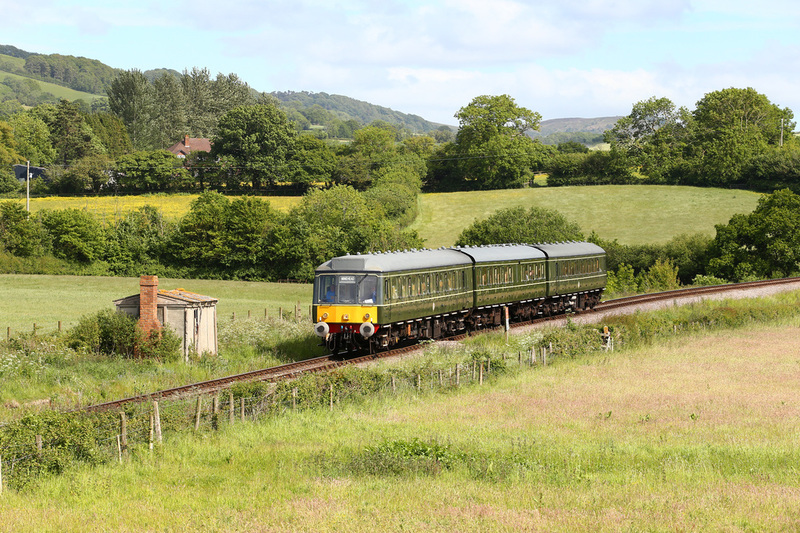 BR Green Class 33 No.D6575 (33057) passes through Stogumber hauling the 08:50 Minehead - Bishops Lydeard freight train. 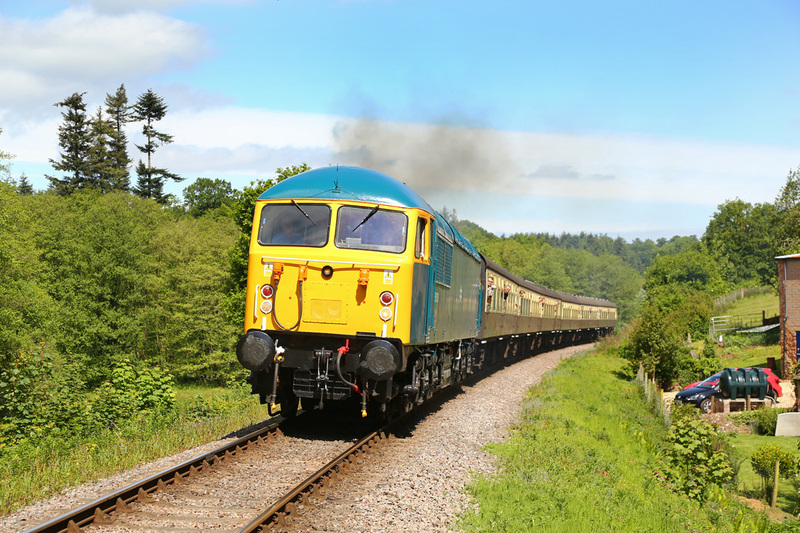 BR Blue Class 45 No.45060 passes Roebuck Crossing having just departed Crowcombe with the 09:55 Bishops Lydeard - Minehead service on Friday 5th June. 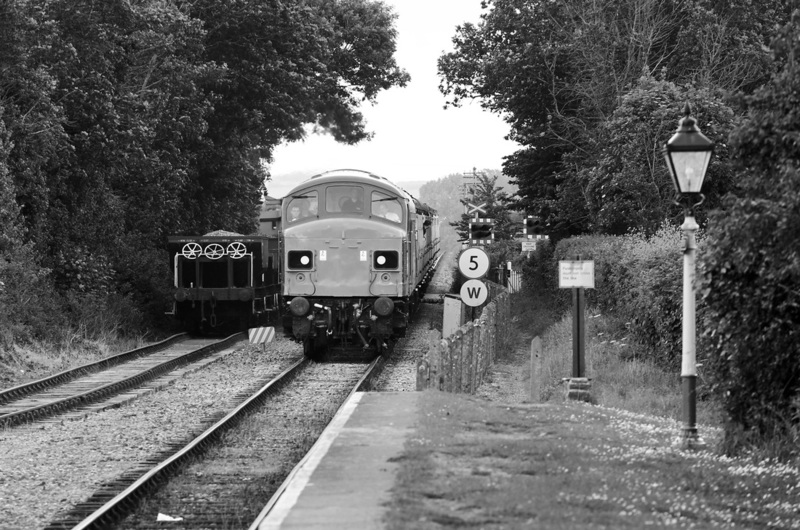 BR Class 56 storms through Roebuck with the 09:45 Minehead to Bishops Lydeard service on Friday 5th June. 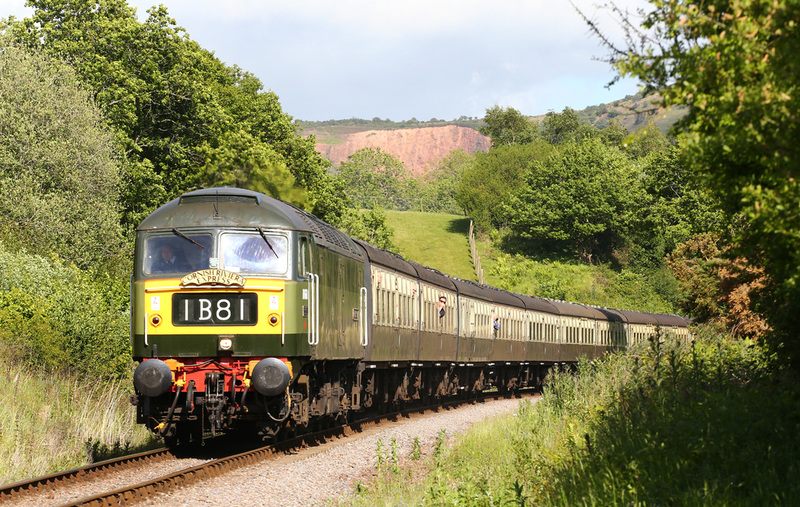 Romainian Built Class 56 No.56006 departs from Crowcombe with the 09:45 from Minehead to Bishops Lydeard on Friday 5th June. 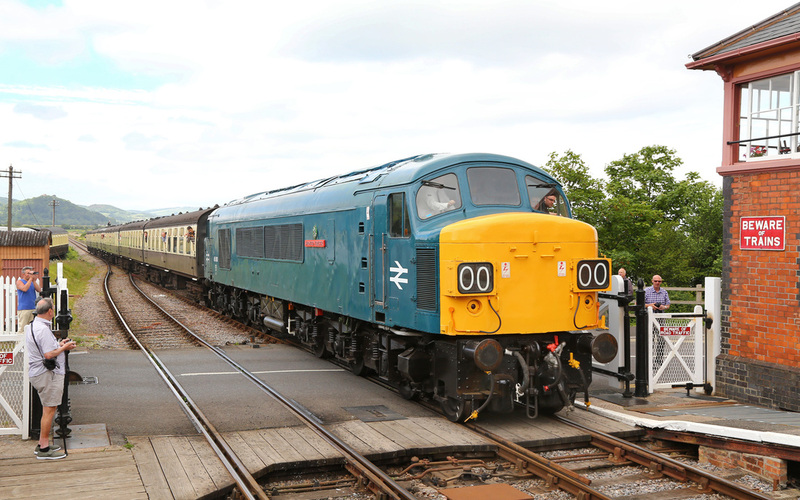 Class 33 No.6575 (33057) is pictured at Blue Anchor on Friday 5th June waiting to depart to Minehead with the 10:55 from Bishops Lydeard. BR Blue Romainain Class 56 No.56006 arrives into Blue Anchor with the 13:45 from Minehead. GBRf Class 59 No.59003 'Yeoman Highlander' was one of the star locomotives from the event. 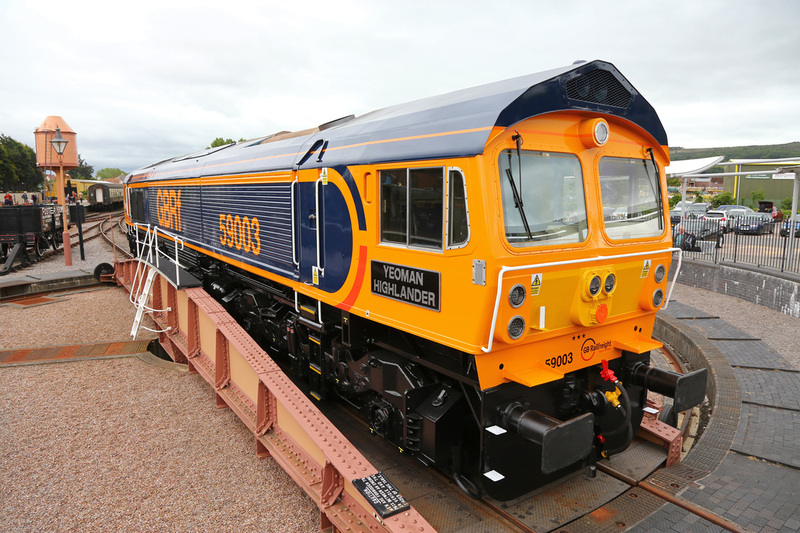 Missing from UK metals for over 17 years after export to Germany, GBRf repatriated the locomotive during October 2014 and shipped to Immingham Docks. 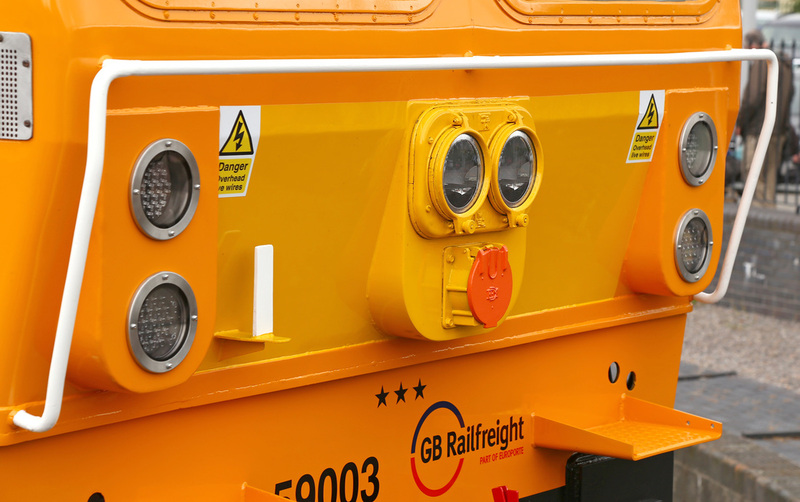 Since then the locomotive has undergone a complete overhaul, upgrade and has been refitted with all the current UK safety and signalling equipment. 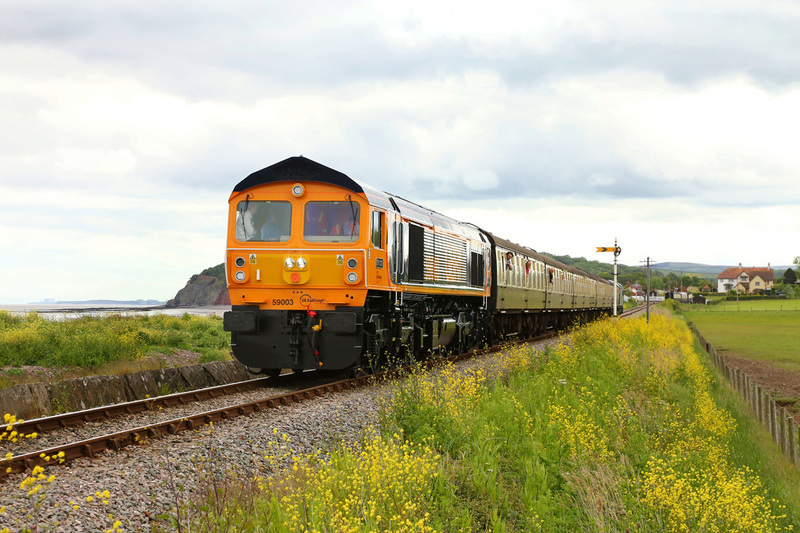 The quality of the work carried out of exceptional and GBRf should be proud of their pure heavy haulage thoroughbred. The Class 59's have strong ties to the South West and the class are no strangers to the West Somerset Railway, and it was only right that 59003 should visit the West Somerset to operate it's first public passenger train in 20 years. Class 14 No.D9526 and Class 47 No.D1661 (47840) 'North Star' arrive into Dunster with the 14:45 from Minehead. 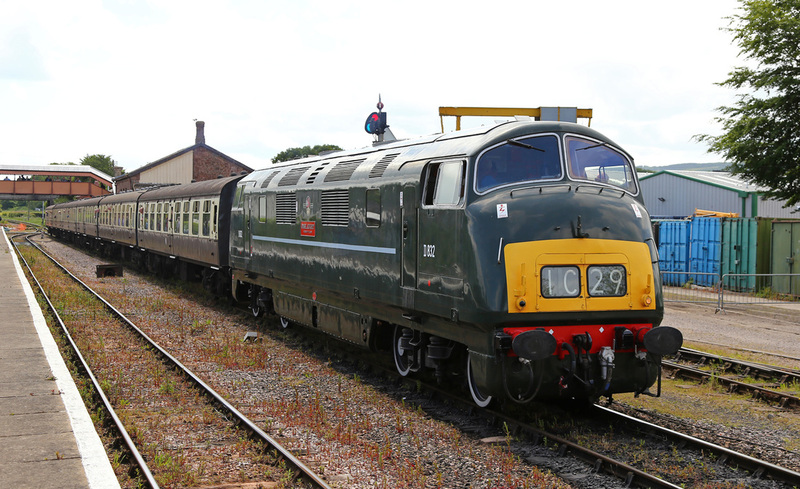 The Class 14 operated through to Williton where the Class 47 then continued the train to Bishops Lydeard. 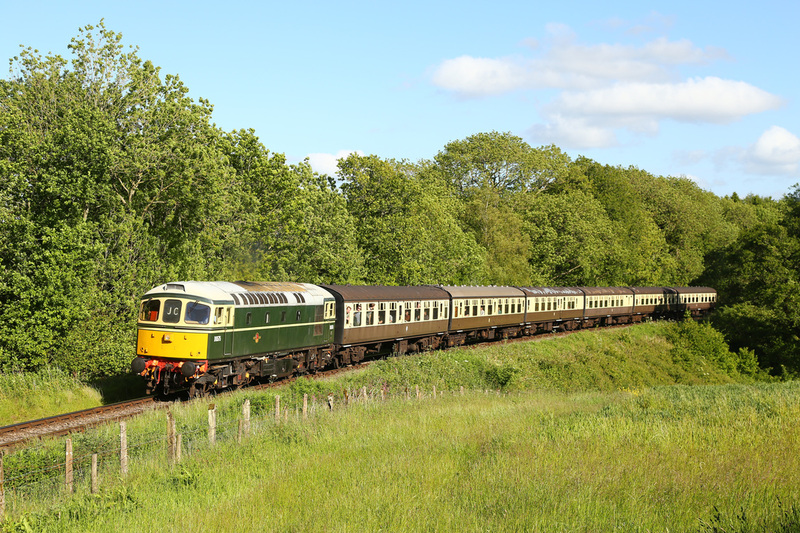 Class 35 Hynke No.D7017 departs from Washford with the 14:55 from Bishops Lydeard on the 5th June. BR Blue Class 45 Peak No.45060 arrives into Dunster Station hauling the 13:55 from Bishops Lydeard to Minehead on the 5th June. WSR three car Class 117 DMU passes Woolsten Moor operating the 15:37 Norton Fizwarren to Minehead service. 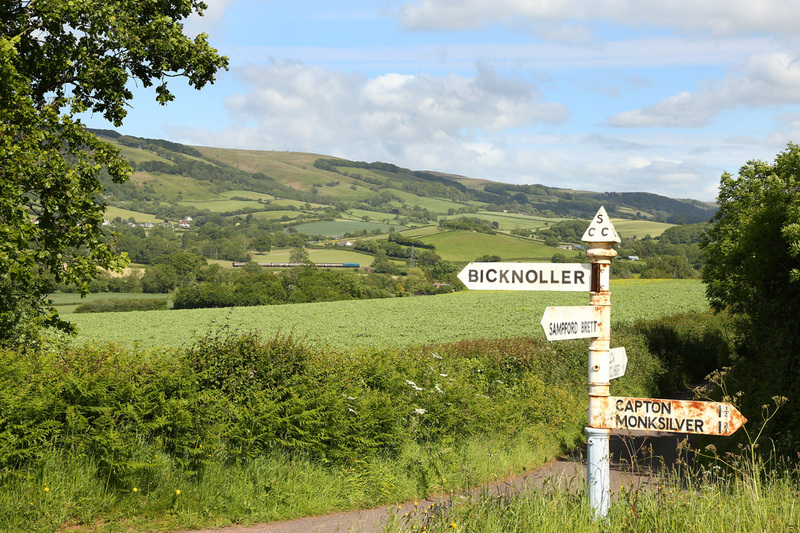 BR Blue Peak Class 45 No.45060 winds its way through the Somerset Countryside at Bicknoller while operating the 15:45 from Minehead to Bishops Lydeard. 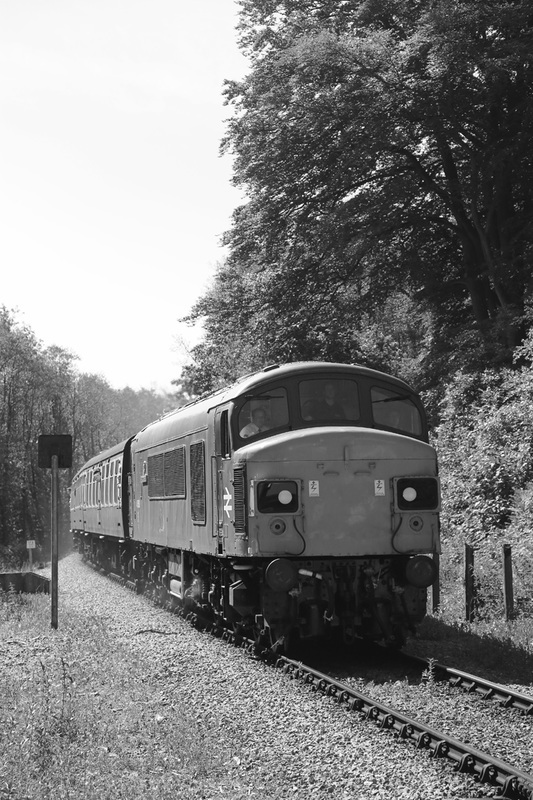 BR Class 47 No.D1661 'North Star' passes through Leigh Woods with the Friday afternoon 'Mega Train' hauling 11 coaches on the 17:00 from Bishops Lydeard to Minehead. 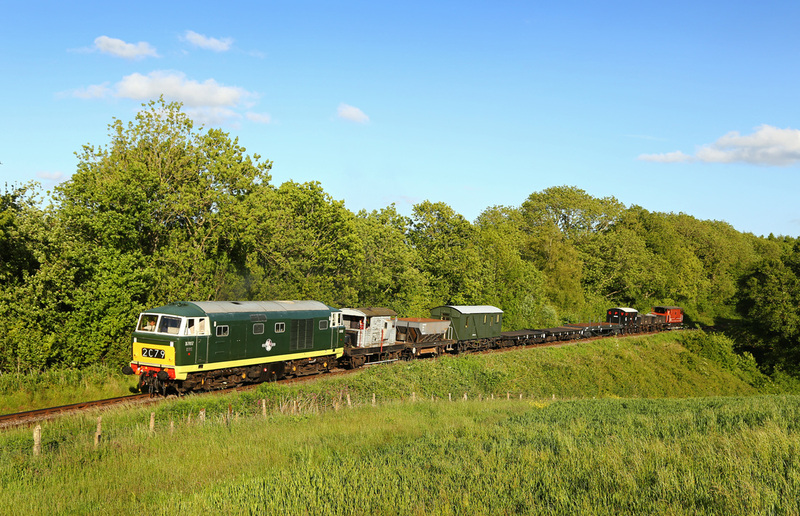 BR Class 33 No.D6575 (33057) climbs through Nornvis Bridge with the 17:45 Bishops Lydeard to Minehead service. 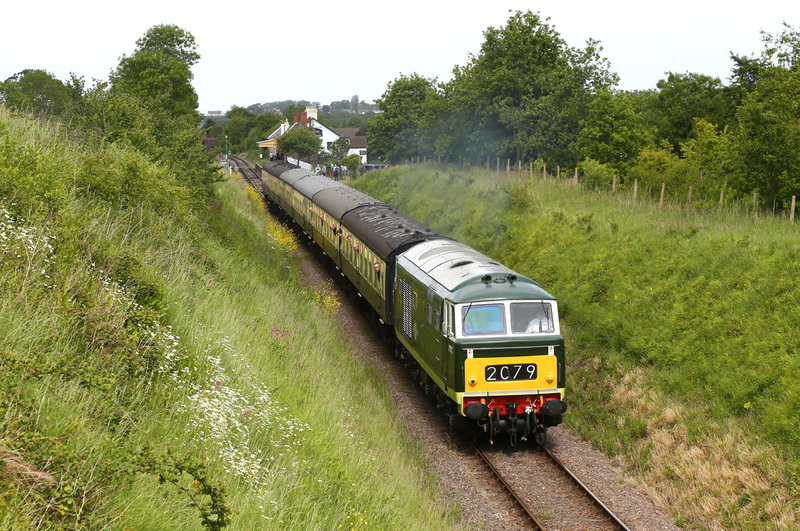 BR Class 35 Hymek No.D7017 powers through Nornvis Bridge with the late running 18:30 Bishops Lydeard to Williton freight. 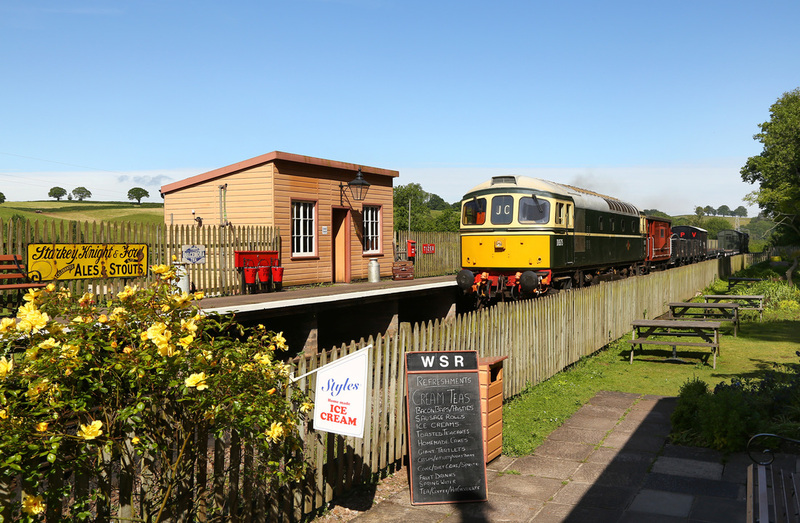 The train ran late due to not enough time allowed in the turn around at Bishops Lydeard to shunt coaching stock and form the freight train. Further issues were encountered at Williton when it was found the train was too long for the siding and had to be shunted accordingly. 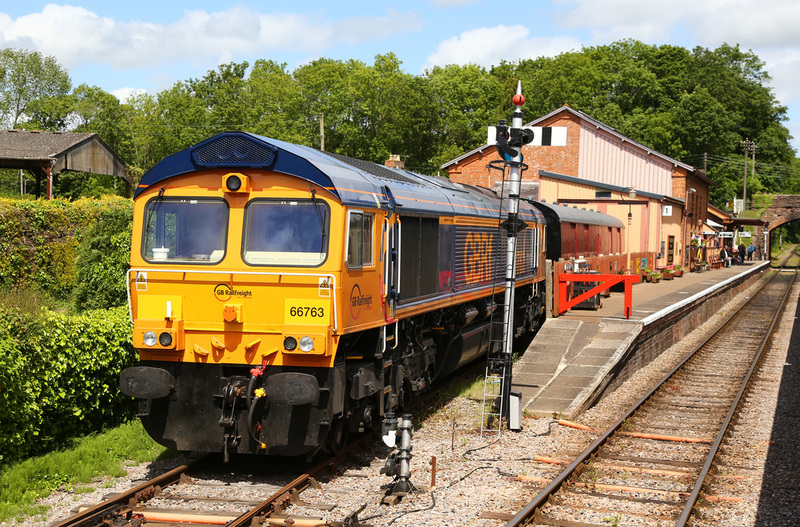 Newly imported Class 66 NO.66763 was stabled at Bishops Lydeard for the weekend, the locomotive was used to transport locos to the WSR event and will return them to their respective locations on Monday 8th June. 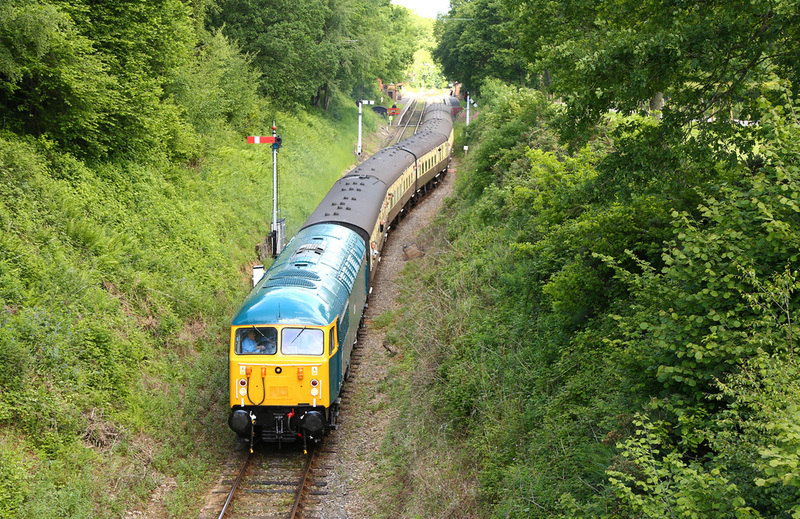 Class 42 Warship No.D832 'Onslaught' pauses at Williton while operating the 11:55 from Bishops Lydeard to Minehead on Saturday 6th June. 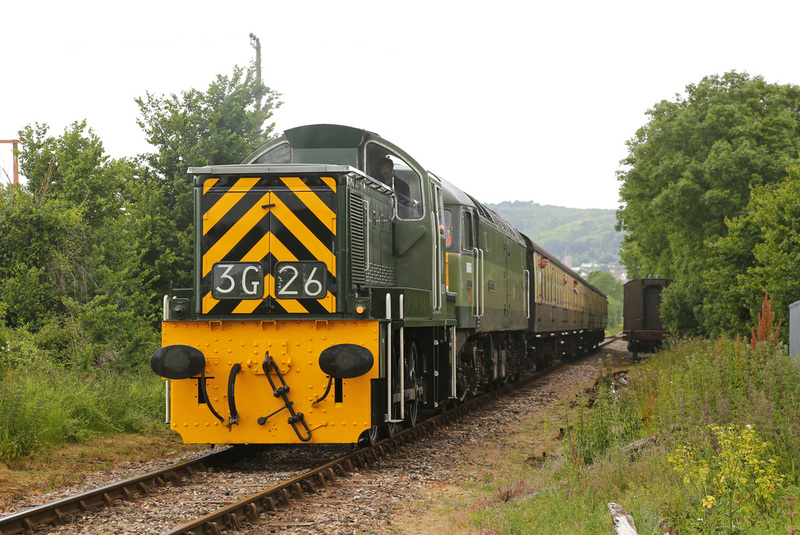 BR Class 33 No.D6575 (33057) stands next to GWR Hall No.4936 'Kinlet Hall' at Minehead on Saturday 6th June.